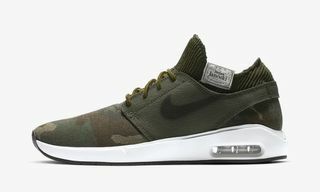 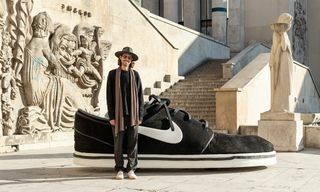 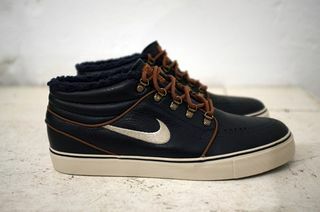 So far we are not short of new Janoski releases from Nike SB for the new year. 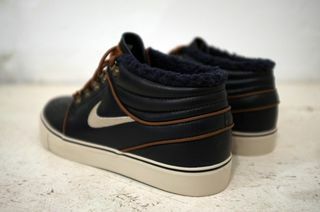 We already presented the black/gum version and the barn/dark oak version just yesterday. Here comes now the third in the mix and probably the most interesting. 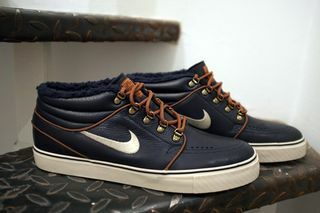 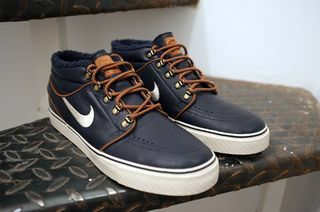 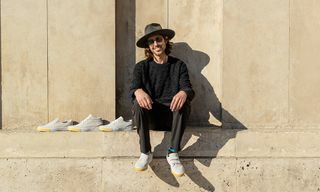 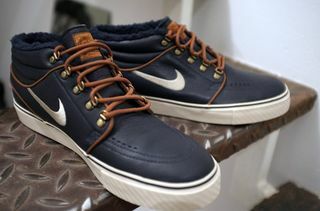 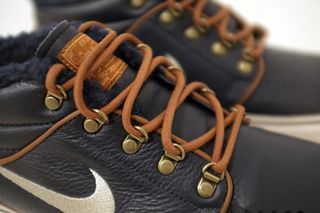 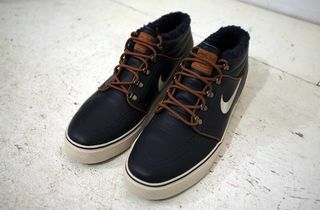 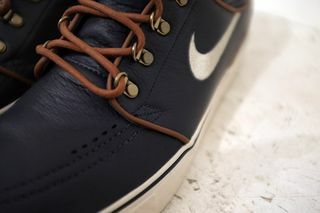 The Niks SB Stefan Janoski Mid Premium ‘Inuit’ comes in a premium navy leather version with hiking boot inspired D-ring eyelets, brown laces and matching brown piping. 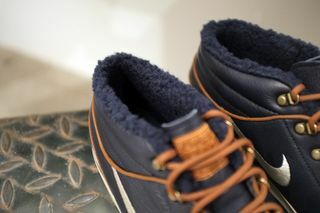 Furthermore it comes with a faux fur lining, ensuring that your feet stay warm this January. 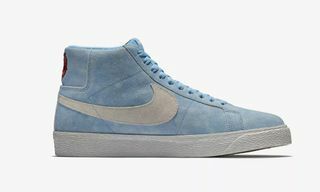 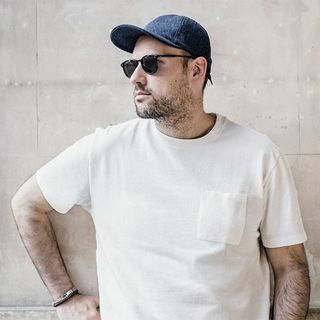 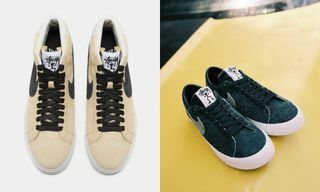 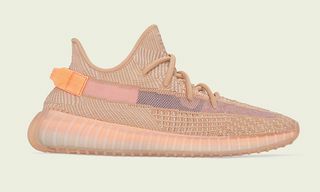 The Quickstrike sneaker should come in limited quantities to select retailers in the next couple of weeks.